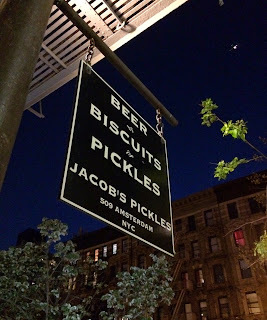 I found a pickles' restaurant, where they serve other than pickles, too, in Upper West called "Jacob's Pickles." We went there for the first time tonight and had some pickles and other dishes. 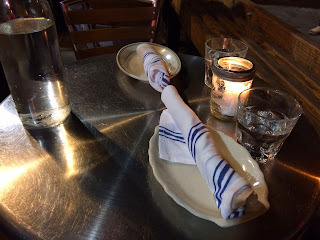 When we got there around 7:30 PM, it's full and we waited for about 30 minutes before receiving a text message from the restaurant to let us know the table was ready. It's nice out but to me, it's a bit cold and I ordered a hot tea (earl gray). There're a large glass fill with hot water and a small glass with a tea bag and a slice of lemon. I took the larger one for a pot and poured the hot water to the smaller glass, then I realized it's not the way it's supposed to be and simply I had to put the tea bag into a larger one. 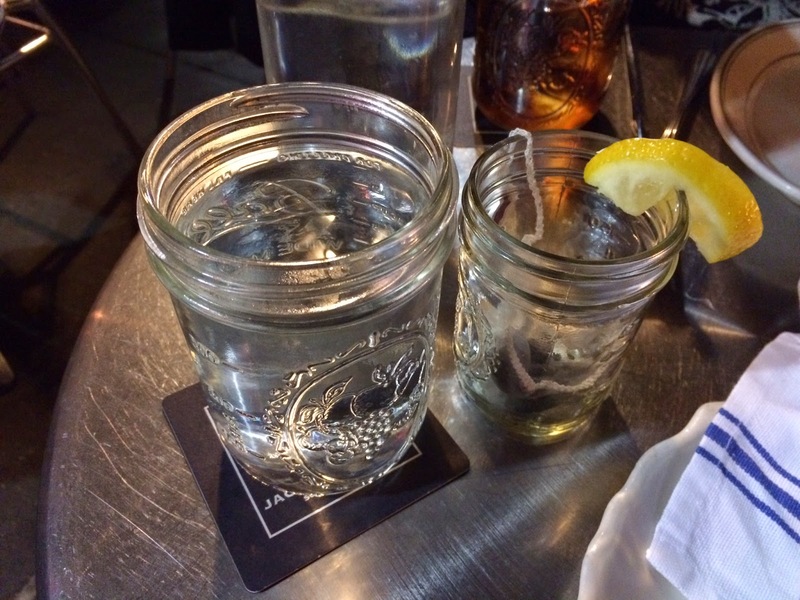 So, I put the water in the small glass back into the larger one. My husband said they've got a poutine, and it's described as "smothered in brown gravy, cheese, hollandaise drizzle." Though it didn't sound like they use cheese curds yet add a touch to (hollandaise sauce), I decided to try it. 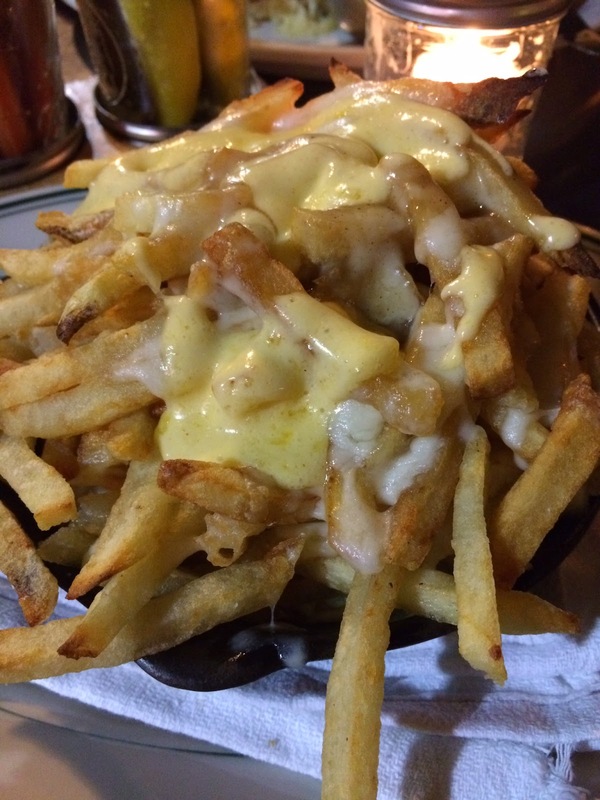 And we're right, it didn't look like poutine at all; no brown gravy sauce but melted cheese and hollandaise sauce on the top. It looked like they put skinny fried and cheese in a skillet, baked in an oven, and finished with lots of hollandaise sauce instead of drizzles as written. I was afraid the hollandaise sauce would taste like mayonnaise and too eggy when I saw it, but they're just creamy yet light enough I actually liked the flavor. 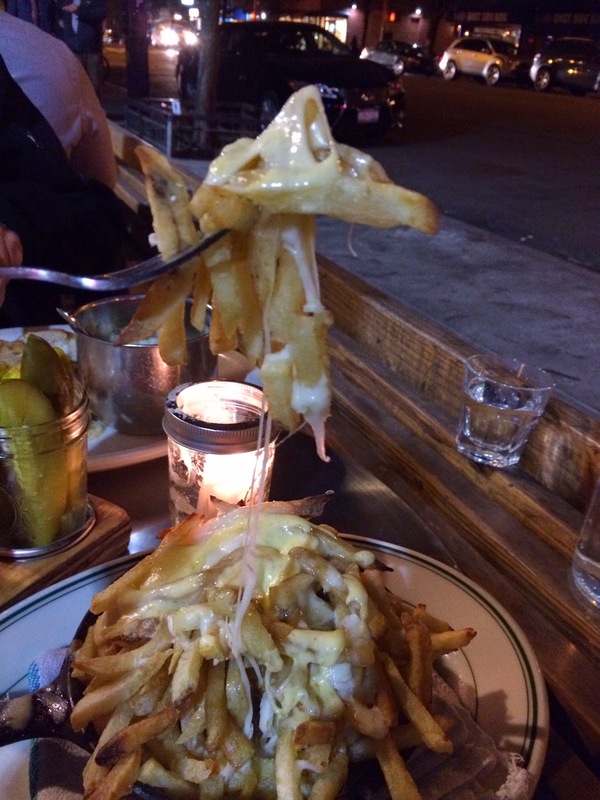 The cheese was completely melted and super stringy. 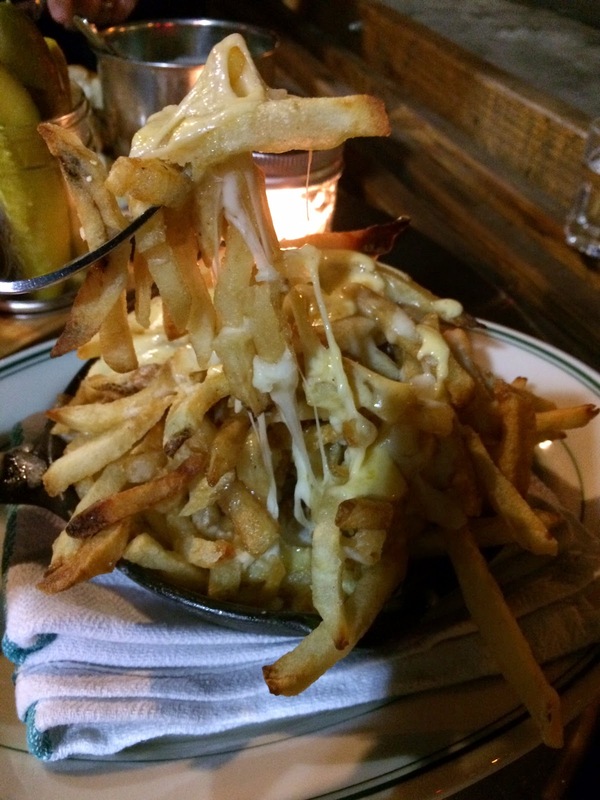 Melted and stretched out cheese, which aren't to be seen in real poutine. 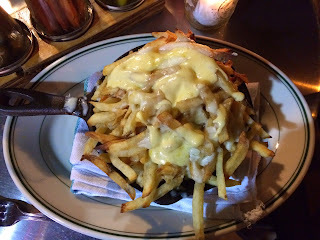 Fries which weren't covered in cheese or hollandaise sauce were crispy, especially the pieces sticking out of the pan. 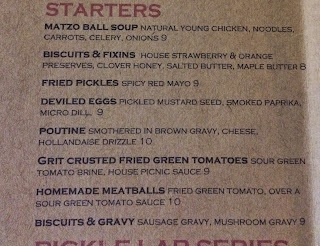 I didn't see brown gravy sauce for a while and at the bottom of the skillet, I saw some white sauce, which would have been the "gravy sauce" they meant, but it's not brown but WHITE. At that point and still now, I'm not sure if it's really a gravy sauce or something else. 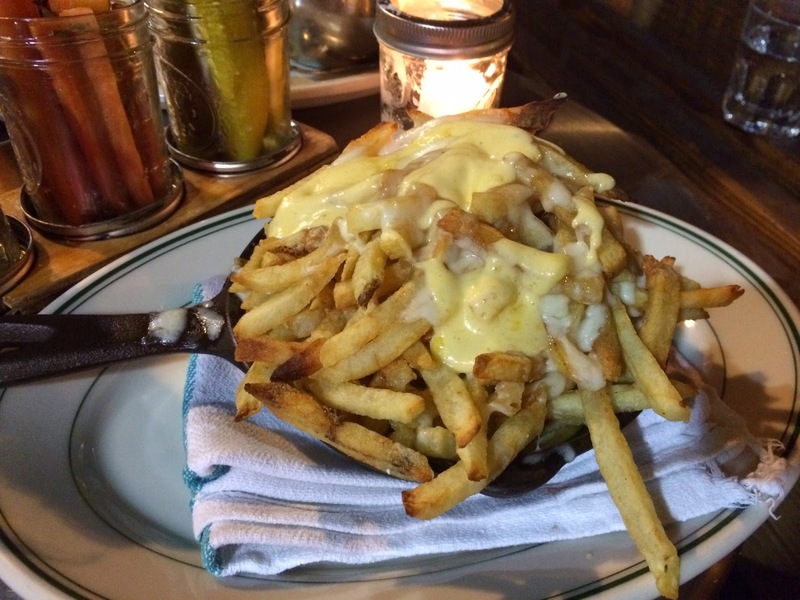 I had white gravy sauce in Texas for the first time on fried chicken, but never had that on poutine. 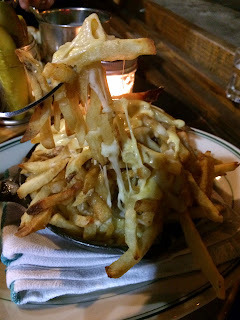 The gravy tasted a bit sweet and like béchamel sauce, and the sauce itself was actually good, but for something to be called poutine, I don't think it's adequate or at least I'm not used to that color and flavor combination. 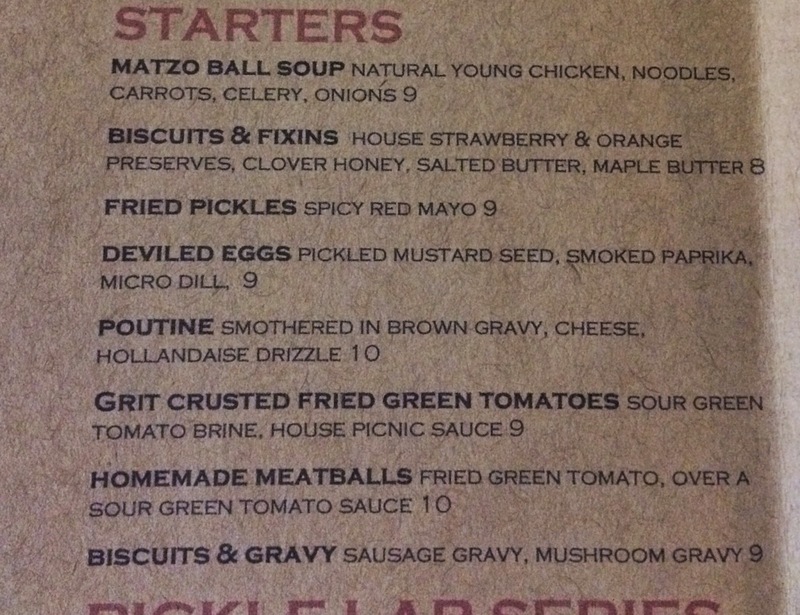 If it's called "fries with hollandaise sauce," that's fine with me but if it's presented as a poutine, it's nay. 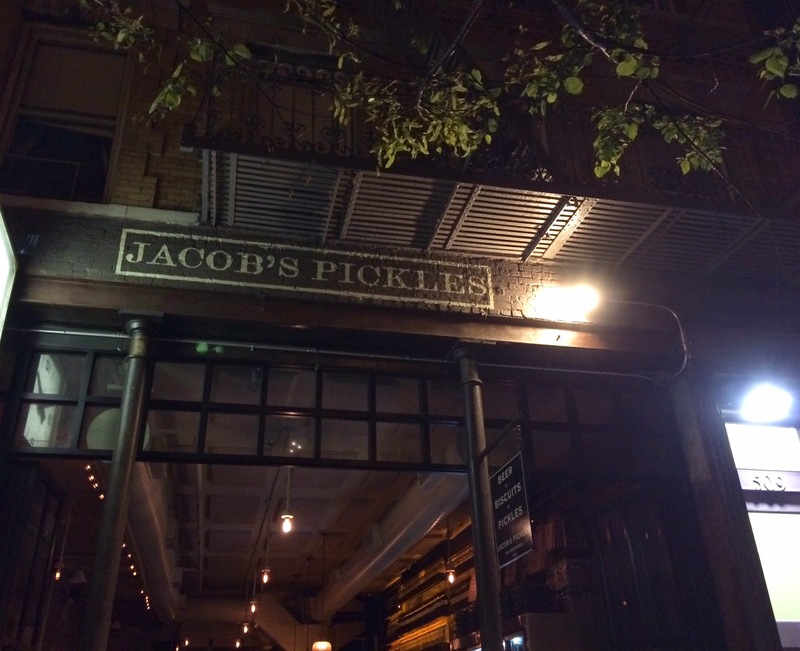 The atmosphere was nice; inside seemed busier (≒noisy) with loud music while outside was more calm.